These symbolic starships from Star Wars have been shrunken to fit in your showcase. Cool? 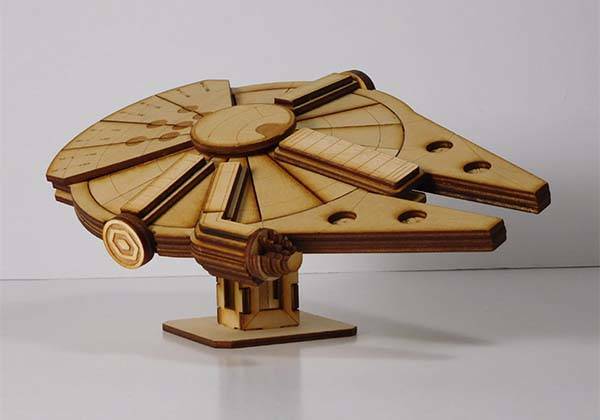 Let’s go on for the handmade Star Wars laser cut models. 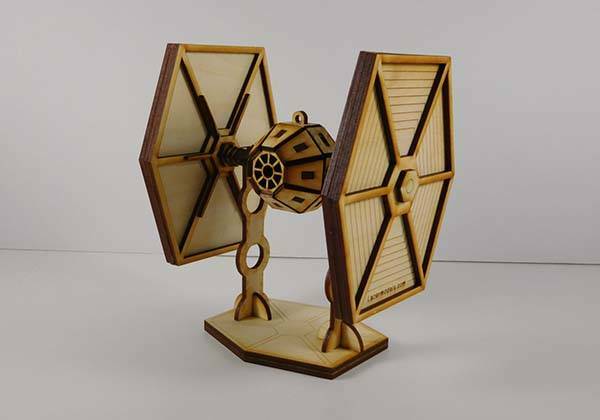 This is a pretty cool and well-designed laser cut model series themed by Star Wars, and handcrafted by LazerModels, a small handicraft studio in Anaheim. The series contains four different designs, each is molded after an iconic starship from the universe of Star Wars including Millennium Falcon, X-wing Starfighter, TIE Fighter and TIE Advanced X1. Each Star Wars laser cut model shows off accurate lines and exquisite detailing from its original appearance. Each piece of the models is made from 100% baltic birch plywood for a durable construction and charming rustic look. Of course, you need to assemble them together by yourself with wood glue or regular craft glue. 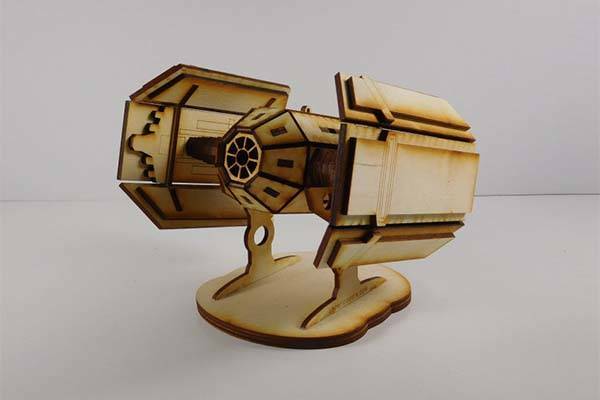 An included base lets decently you show off these laser cut models in your showcase or on a wall shelf. 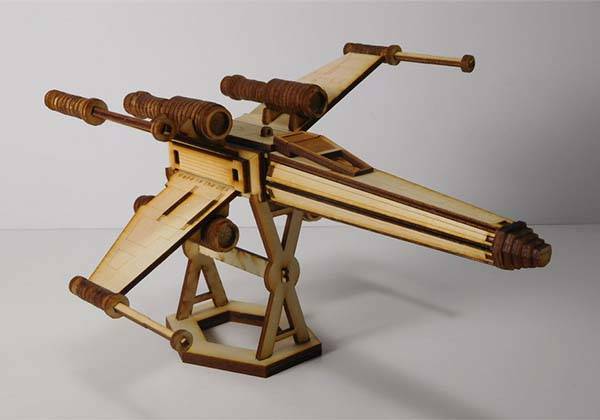 The Star Wars laser cut models start from $19.95 USD. If you’re interested, jump to Etsy for its more details.